It's not every day that you see royalty riding the subway -- but that's just what some commuters encountered in London on Wednesday. Prince Charles and Camilla, Duchess of Cornwall, took a ride on the "Tube" to mark the London Underground's 150th anniversary. Britain's Telegraph reports that the royals were given commemorative fare cards, which they swiped to go through the barriers at Farringdon station. They then boarded a Metropolitan line train and traveled one stop to King's Cross station -- a trip that takes just a few minutes. Charles, 64, apparently appeared disappointed when the trip ended -- the Daily Mail reports that when it was over he asked, "Just one stop?" At King's Cross, the prince and duchess also stopped to visit "Platform 9 3/4," where the Hogwarts Express arrives and departs in the "Harry Potter" books. 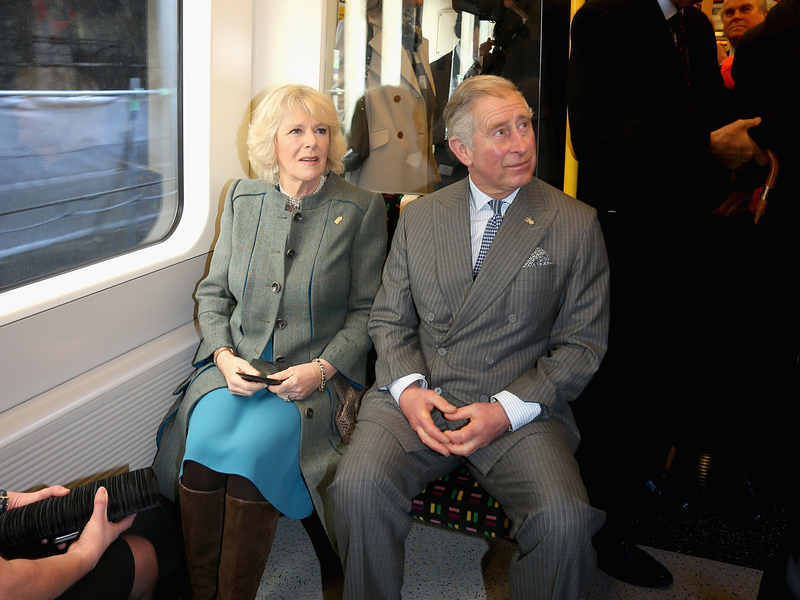 It's the first time the prince and duchess have taken a joint ride on the Underground. Charles last traveled by subway in 1986, when he and the late Princess Diana took the Tube to Heathrow Airport to open a new terminal. The Telegraph reports that Camilla "is thought to have used the London Underground in the past."